I was born in Johnstown, Pennsylvania, a small city 60 miles east of Pittsburgh which was at one time poised to be the major metropolitan area in Western Pennsylvania, save that it kept getting flooded. Over and over, and then a third “over”, again. At 19, I moved to the City of Pittsburgh to attend art school and get out of small town America. At that time, though, the city wasn’t much more than a collection of small towns. And that is actually what makes it so great, but looking back, I do feel like I’ve watch PGH grow from a dirty spot on the map of people’s minds into a fabulous new creation. In the same way that I’ve watched my oldest son go from drooling over his baby food to learning to ride a bike, be polite, and care about things other than himself, so have I seen this city mature into an amazing place. 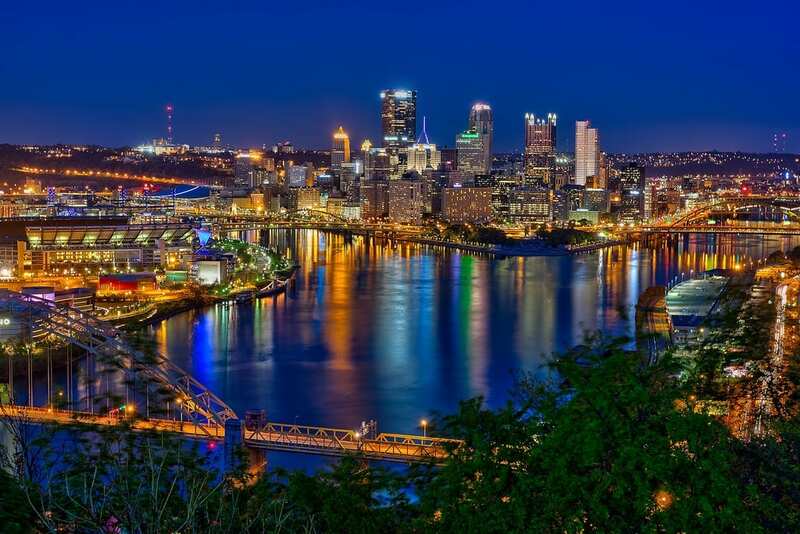 In fact, Pittsburgh has become so exemplary, I can now honestly say that I have not visited a single other city in this country which is better than it. And like Johnny Cash, I’ve been everywhere, man. When I first moved to Pittsburgh, even when I first founded this Web Design business, the city was a completely different creature. There were few bike lanes, it still felt a bit dirty all around, and the rivers were mucky brown and overrun by industry. Today, thanks to good work by non-profit organizations, local government and business, and thousands of individuals determined to make the change, we have trails around our rivers abundant, options for local and organic food, and there is nothing more beautiful than emerging from the Fort Pitt Tunnel at night, the city’s lights exploding gorgeous in every direction. I’m proud that the people who live in this former smog-laden metropolis saw the potential that a hilly city covered in trees and awash with rivers and bridges held. And though I’m coming up on nearly six years of traveling around the world, I’m happy to say it again: there is nowhere in the US that is more magnificent than Pittsburgh. It is one of the nation’s greats, alongside old standbys like San Francisco and Seattle, and surpassing new meccas like Austin, Texas. Iron City has been transformed into the City of Bridges, and if you haven’t been yet, you should really make plans to visit ASAP, if not move in for good.